GOLDEN, Colo. (KDVR) -- Jefferson County sheriff's deputies are searching for a man and a woman accused of using their children to shoplift. The couple were accompanied by a boy about 7 years old and a girl about 10 years old, the Jefferson County Sheriff's Office said Thursday. 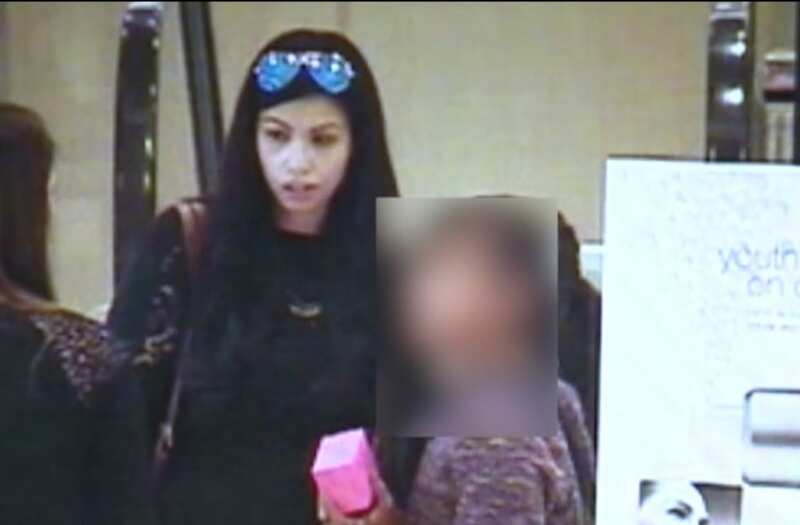 Deputies say the children shoplifted items from the Dillard's store at Southwest Plaza on May 31. When confronted by security, the children and couple they ran from the store. The suspects then drove off in a white Dodge Magnum station wagon with a temporary license plate. The woman was described as being white or Hispanic with dark brown or black hair. She was wearing light denim jeans with a black belt and black shoes. Her hair was long, and she had sunglasses on her head. The man appeared to be Hispanic. He was wearing a white polo half zip long sleeve shirt, jeans and glasses. Anyone who recognizes them or has information is asked to call the sheriff's office at 303-271-5612 or Metro Denver Crime Stoppers at 720-913-7867.